Standard Features - The CB LFC Series offers numerous standard features to aid in safety and operation. Three Tank Sizes - The CB LFC Series is designed to offer top-notch features at the size you need. Straight Forward Piston Pump System - The ground driven piston pump is perfect if you want to set one rate and go. Cone Bottom Design - Designed with optimum slope to provide complete drainage. 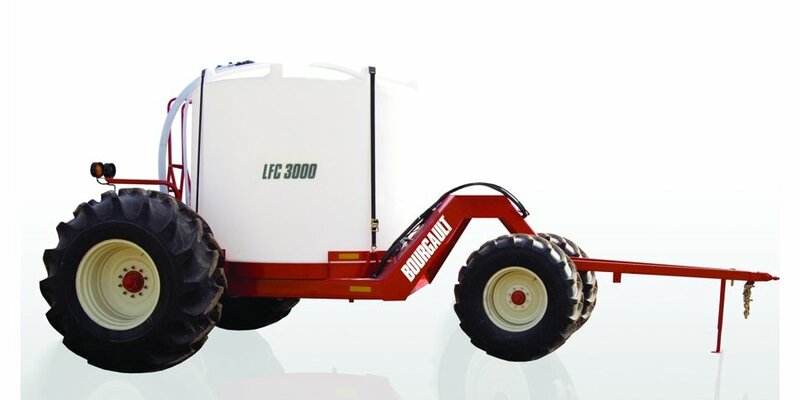 Bourgault Liquid Fertilizer Distribution System - Bourgault is committed to providing turn key systems for your liquid fertilizer requirements.